Do you want to become more empowered and connected with your core? Guided by your Heart and Soul’s Purpose? Be more balanced and have more mindfulness? Are you searching for the answers? Wanting to understand your relationships better? Why your intimate relationships, friends, family and even work colleagues can impact your quality of life? How your relationships interfere with business, career opportunities and even starting your own business? 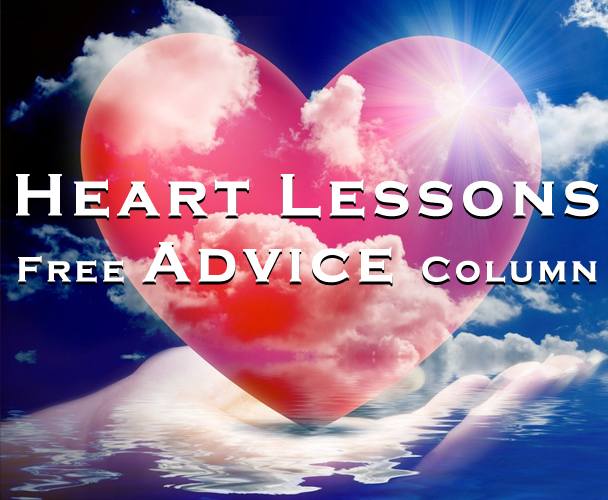 I have a free weekly Advice column right here with BeMajor.com called Heart Lessons. Our hearts have the power to free us from pain and the struggle that keep us from awakening to our true essence. You can enter your questions below on the form provided or for more personal guidance contact me at IntuitiveSoul.com or call me at my toll free # 1 855 444 SOUL (7685) and let’s get to the Heart of what matters, to see your Heart Lessons!